Director Thiagarajan Kumararaja is a director who earned a great fan following with his very first movie Aaranya Kaandam. The film was widely acclaimed and it also fetched him a National Award for Best First Film of a Director. It has been 5 years since the release of Aaranya Kaandam, but no announcement came out regarding his next. When we spoke to him last month, he said, "I have been working on a script for the past one and a half years. Looks like things are falling in place this time around." To all those who were waiting to know about his next, here comes the interesting information. 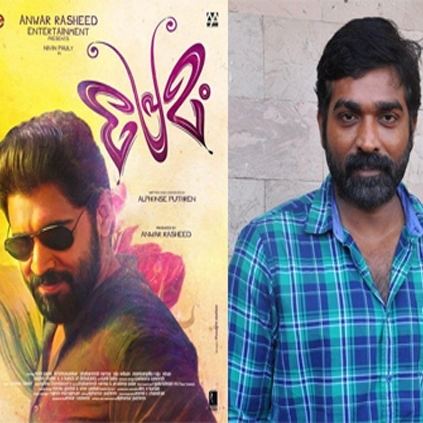 Sources close to the director's unit suggest that 'Makkal Selvan' Vijay Sethupathi is most likely to play one of the leads in Kumararaja's next, while it is said that for the other lead role, Malayalam superstars like Nivin Pauly and Fahadh Faasil are being considered. We are also told that the director is in talks with some of the leading producers in K-town to fund this movie. An official announcement regarding this is expected soon, once things get finalized. Why is Devi(L) different from others? GVM acquires the remake rights of this superhit film? What next from Soodhu Kavvum director? Keerthy Suresh to act in a super popular sequel? Chief Minister to the rescue of a film!